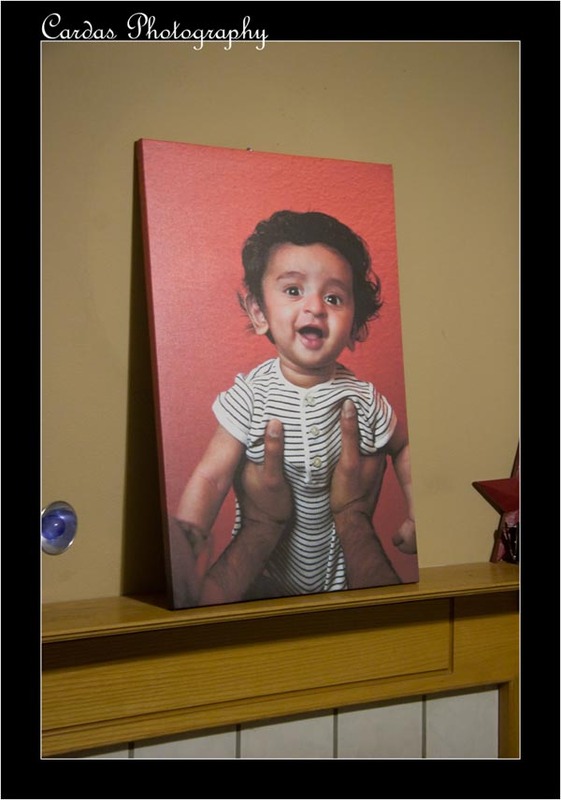 I love love love when clients go beyond the typical print and canvas sizes. 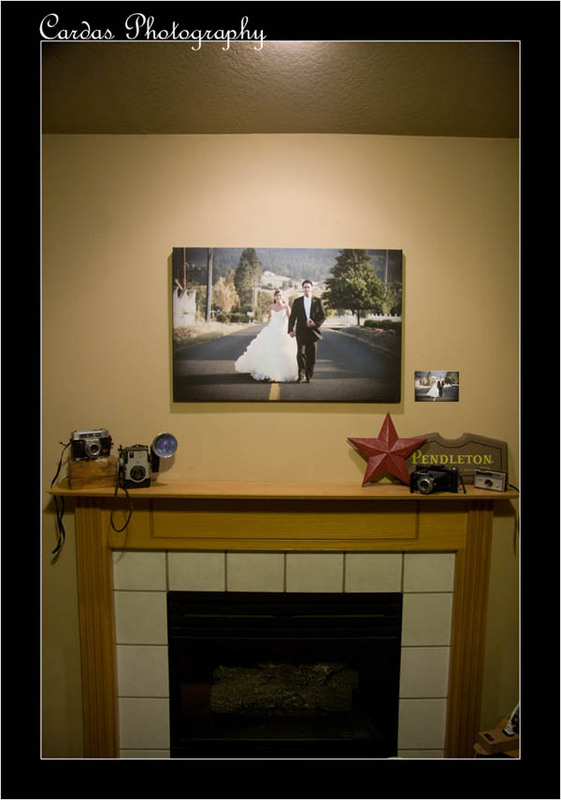 Kristy emailed me asking to use the studio credit from her wedding on a BIG canvas. I said "How big?" and she replied "It's one giant wall! " So this is where we ended up! 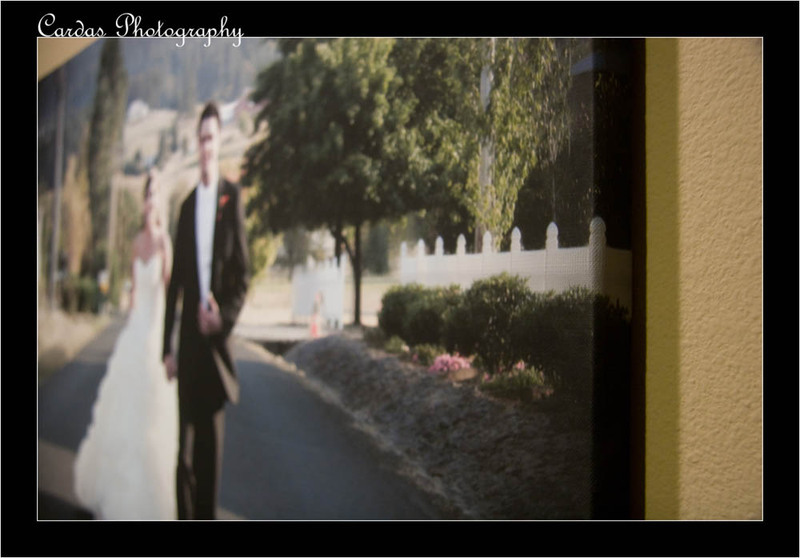 For comparison the canvas to the right is 16" x 20"
I LOVE that Kristy and John will have this photo from their wedding day as a permanent fixture in their home. I tell my clients to use their studio credit for something special. Because they get their images on disk, they can print their own regular prints to their hearts content. I recommend getting something special - something "professional grade" from me - whether that's a coffee table album, stretched canvas or framed collection, let me create something that will last the test of time. Now that the holidays have past - I wanted to share a few of the happy deliveries I got to make to my wonderful clients! And Sheila's mom gave the couple a wedding gift of a 24"x36" canvas of an image from their Engagement session to remind Morgan of home since his move to Tennessee! I so love the look of stretched canvas! It's a fun way to make a bold statement with your memories! Things are getting BIG around here! One of my goals for this year is to show my photographs in the size I would have them displayed in my own home. Up until now - besides a 30"x36" frame filled with various 4"x6" prints, I haven't had anything smaller than 12" x 18" of my own personal pictures hanging in my home. 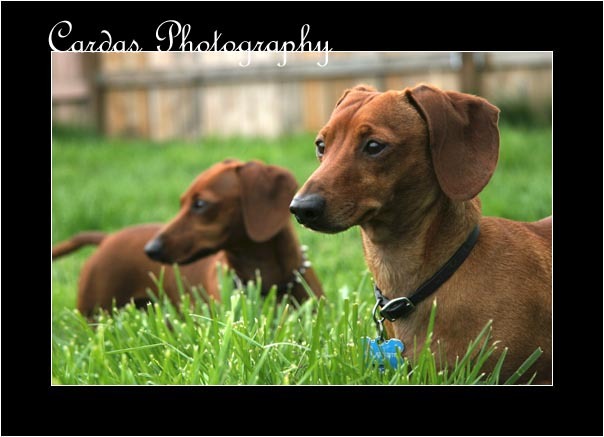 I walk by this picture of my Wienerdogs every day and it makes me happy. So I encourage you to measure your walls!! And fill the empty space with images that make you smile, inside and out, every time you walk by them!